Why yes I am absurdly pleased with that title, thank you for asking. When the Rijksmuseum is putting on a show dedicated to full-length portraiture of moneyed art patrons from the Renaissance to the 20th century, certain puns become irresistible. The new exhibition, High Society will be centered around the museum’s most spectacular new babies, the portraits of wealthy merchant Marten Soolmans and his bride, heiress Oopjen Coppit painted by Rembrandt van Rijn in 1634. He was only 28 years old but already had made a name for himself as the top portraitist on the scene. 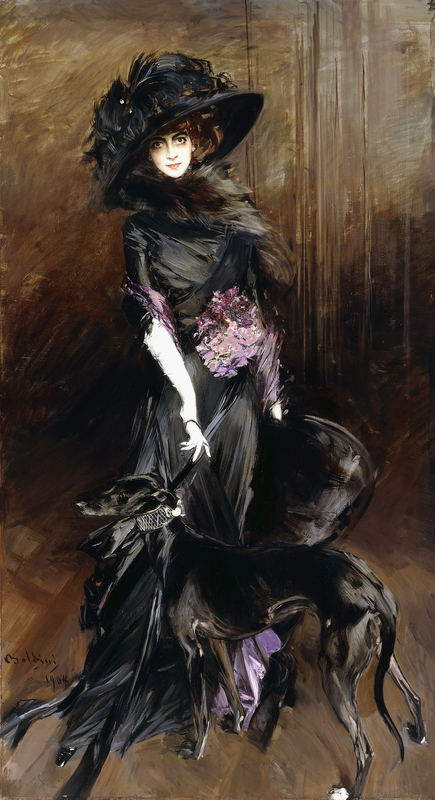 He had known Soolmans since the latter’s desultory stab at law school in Leiden when he was 15, and as Oopjen Coppit was kind enough to bring an enormous pile of cash into the matrimonial home as a dowry, Marten booked the best to have himself and his wife immortalized top to bottom. These are the only full-length, life-sized portraits Rembrandt ever painted. The pair is jointly owned by the Louvre and the Rijksmuseum who spent €80 million apiece to buy the portraits from Baron Eric de Rothschild. Because the portraits were already in France with the baron, the Louvre got first crack at displaying them in accordance with the intricacies of the shared acquisition deal. They went on display in Paris in March 2016 for three months, then moved on to Amsterdam where they had another brief three-month display next to the Night Watch before being taken off public view for much-needed conservation. The portraits had only been lightly cleaned and had “fake saliva” daubed on to bring back some of their original sheen before their debut at the Louvre. That thorough restoration, undertaken by a joint team of experts from both national museums, is just about finished now and the wedding couple will be shown conserved, repaired, their finery back to its finest, for the first time at the new exhibition opening March 8th, 2018. It’s not the happy couple who will be peacocking it in this show. The Rijksmuseum took the opportunity to make Marten and Oopjen the fulcrum of a larger exploration of the evolution of the full-length portrait in art history, borrowing more than 35 masterpieces from private collections and museums in Paris, London, Florence, Vienna and California, among others. This is the first exhibition dedicated to this most magnificent of portrait formats. 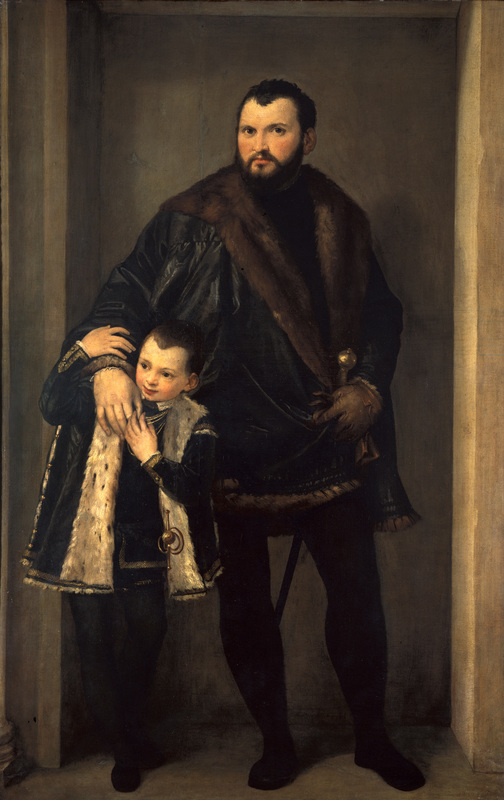 Life-sized, standing, full-length portraiture had been the province of kings and powerful aristocrats in earlier times, and barely seen at all up north. The portraits of two proud exponents of the moneyed Dutch bourgeoisie illustrate the upwardly-mobile aspirations of the young Dutch Republic, then just 50 years old and focused on building wealth through trade and industry instead of bloodlines, currying monarchical favor and conquest. 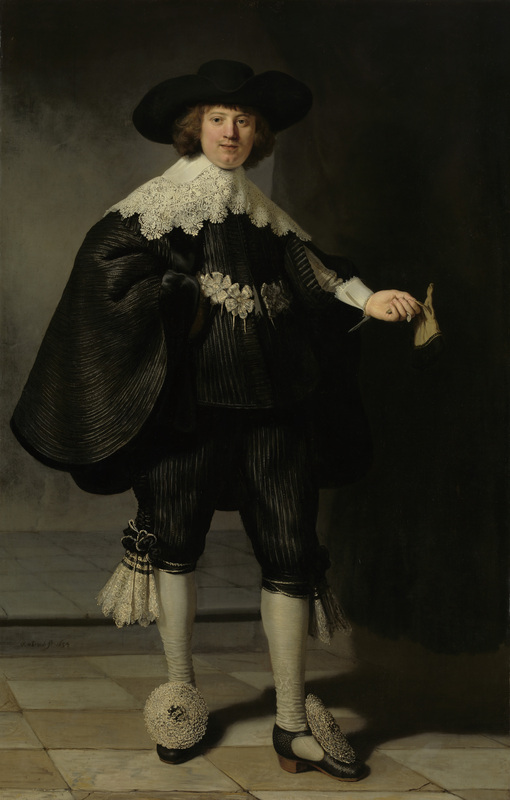 Marten and Oopjen were some of the earliest examples of the style being employed in Holland. The earliest life-sized portraits of worthies standing around looking fabulously wealthy (or telegraphing their politics or promoting their families or celebrating their greatest beauties or their weddings, as in the case of Marten and Oopjen) that we know of were painted by Lucas Cranach the Elder in 1514. The subjects were Henry the Pious, Duke of Saxony, and his wife Catharina, Countess of Mecklenburg. Less than a decade later the Italians stepped up to the plate with the unnamed subject in Moretto da Brescia’s Portrait of a Man (1525). 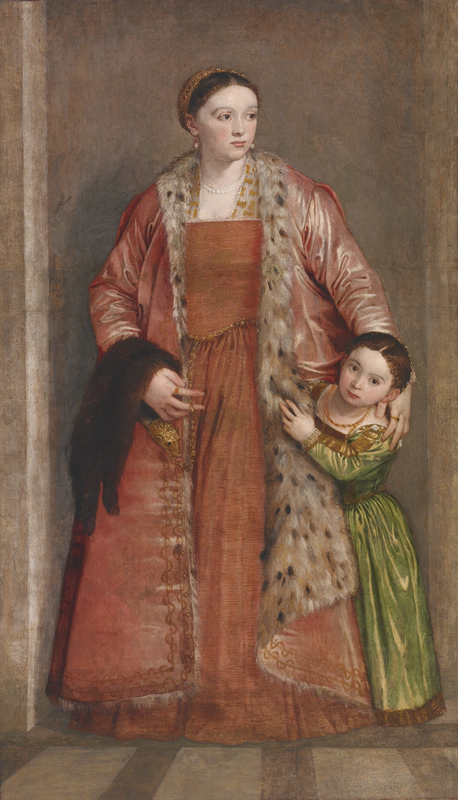 The earliest known couple depicted in a full-length portrait by an Italian artist are Count Iseppo da Porto and his wife Countess Livia Thiene by Paolo Veronese (ca. 1552). From those beginnings, the format spread north and west during the 16th and 17th centuries. 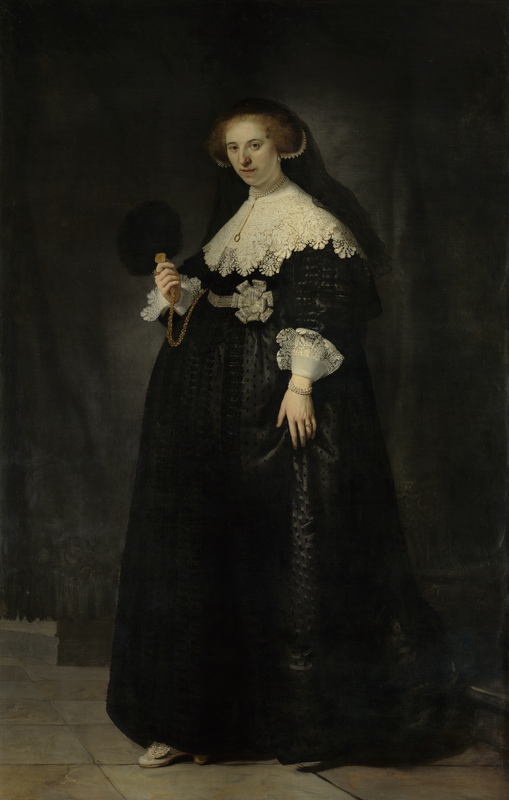 Great masters like Velázquez, Anthony van Dyck and Frans Hals went big during this period, as did Rembrandt with Marten and Oopjen. The exhibition keeps going, illustrating the shift in focus from people of noble rank to people with money to socialites and even (gasp!) artists in the early 20th century. One of the last portraits to be painted from the group on display is one of Edvard Munch by Walther Rathenau (1907). The exhibition is a short one — giant rarities don’t get loaned very often or for long — and closes on June 3rd, 2018. This entry was posted on Saturday, December 9th, 2017 at 11:30 PM	and is filed under Modern(ish), Museums, Renaissance. You can follow any responses to this entry through the RSS 2.0 feed. You can skip to the end and leave a response. Pinging is currently not allowed. Do you know this one? I call it Putin on the Ritz. P.S. The lyrics of Puttin’ on the Ritz are of historical interest (he said, darkly). For all the citizens of the HEART! 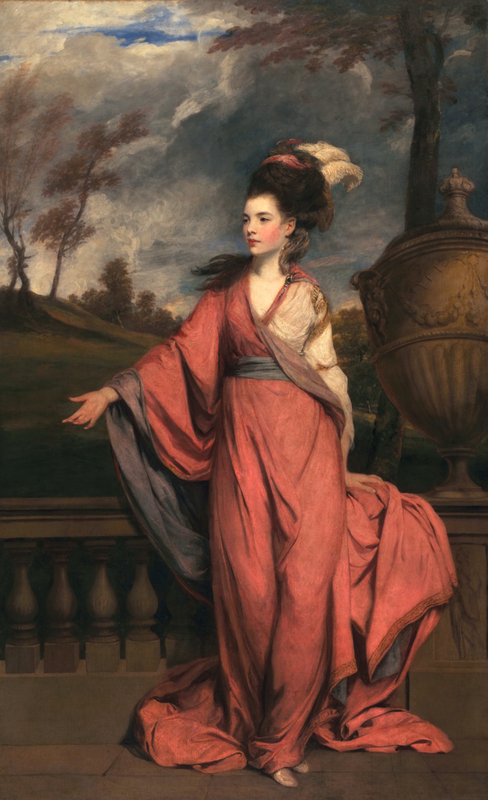 I live near the Huntington in California, and they have a fantastic collection of full length portraits, many by Reynolds. The one of Jane Fleming (your bottom left picture) is stunning.